Fujitsu: Is your business ready for the workplace of the future? Global Fujitsu survey reveals that many businesses are holding their employees back from their full potential. Despite many companies going through a major digital evolution, many businesses are losing out on the benefits of digital transformation due to workplace inflexibility, new research has warned. A new global study from Fujitsu has found that many businesses are unprepared for the changes and evolutions affecting their workplace, with outdated business practices and technological shortcomings often holding many organisations back. The study, which surveyed over 1,200 senior business and technology decision makers, found that many are making slow progress in offering smart, connected and flexible working for their employees. Less than half (42 per cent) of organisations surveyed said they offered portal-based support services that would provide ‘anywhere’ access to applications and services. 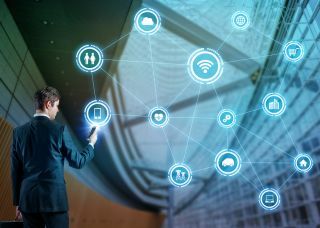 In fact, many businesses actually named technological factors as the major barrier to their progress, with almost two thirds (63 per cent) naming interoperability with outdated technology as the biggest challenge to workplace productivity. Elsewhere, more than half (57 per cent) cited the complexity of current workplace technology and a lack of access to the right productivity tools (55 per cent) as major issues. A further concerning revelation is that the majority of organisations simply do not have a clear understanding of their current productivity levels, with only 17 percent using analytics tools across the business. Security and compliance issues were also highlighted as major hurdles for many business, as the number and scale of threats affecting organisations increases every day. The survey found that over half (56 per cent) said that their current approach to cyber security was stopping employees from reaching full productivity. 20 per cent even said that current security practices were having a ‘highly negative’ effect, primarily due to employees taking non-compliant routes and cutting corners when faced with complex or time-consuming security procedures and mechanisms. And with the deadline for GDPR now under six months away, many companies ranked compliance with such regulations as their biggest workplace security issue, with nearly two-thirds (59 per cent) ranking it as their major challenge, ahead of location-based access and information sharing (58 per cent) and identity management (58 per cent). At a presentation entitled “Workplace 2025” at Forum 2017, Ramakrishnan outlined Fujitsu's view of the tech-friendly, flexible office of the future. This workplace will be a cross-generational, boundary-less environment that is up to date with the latest technological advances, whilst also being environmentally-friendly. "The workplace is fundamentally changing,” he noted, “as far as we're concerned, our mission for the workplace is anything that can be personalised"